Nestle Purina PetCare launched a new campaign created by Leo Burnett Chicago, "I Make Dog Chow" for its Dog Chow brand that puts the spotlight on the real, hardworking Americans who take pride in being Dog Chow employees. ​The first spot, "Nick" profiles a Denver-based man who works in Dog Chow's production facility, as he describes his love for his own dog, Khloe, and the quality ingredients and attention to detail that go into making Dog Chow. 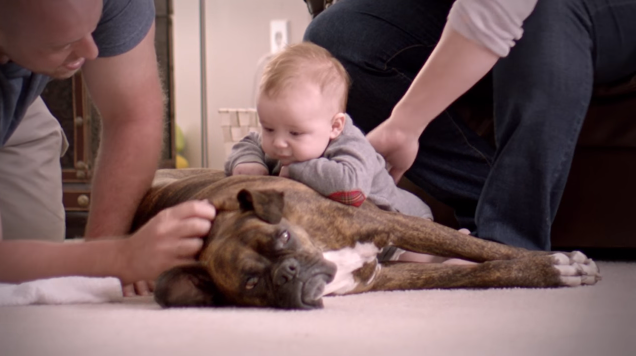 The heartwarming campaign is a pivot from typical dog food advertising, which usually highlights the animals themselves, or the direct benefits of the food, but Purina's renewed focus on the men and women who make Dog Chow right here in the USA serves to remind pet owners of its high-quality standards and outright passion for making the best dog food. "Nick" debuted on November 28th and will continue to air during various TV specials throughout December including NBC's The Wiz Live! and The Voice finale. Additional TV creative featuring other Dog Chow employees around the country as well as packaging redesigns will roll out in early 2016. Name of ad: I Make Dog Chow “Nick"